Tony was born on April 6, 1949, in Phoenix, Arizona to Tony Lee and Esther (Delgado) Lee. When Tony was 6 years old his family moved from Phoenix to the Los Angeles area. He graduated from Gardena High School, and after serving in the military went on to study aviation at Mount San Antonio College. 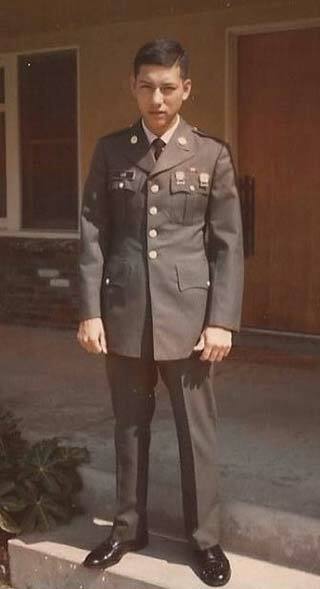 Tony joined the U.S. Army in 1968, where he served as a military police officer. He was a veteran of the Vietnam conflict as well as serving in Panama, and was honorably discharged at the end of his service. Though he rarely shared stories about his time in Vietnam, he would sometimes tell stories about his adventures riding through the jungles in Panama. After leaving military service he took up flying, skydiving, and riding his motorcycle too fast. Tony worked at Harrah's Club in Reno, Nevada for many years where he made life-long friendships and met his future wife, Lisa (Nickles) Lee. They were married in 1981, and two years later welcomed their first daughter, Crystal. The family left Reno in 1984 to live in Maui, Hawaii, before moving to Central Oregon in 1986 just before their daughter Rachel was born. 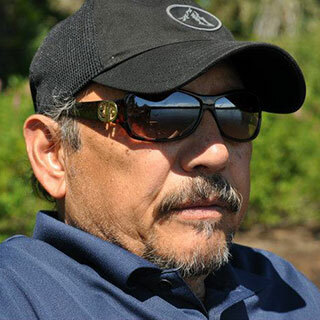 Tony worked in the food and beverage industry in the Central Oregon area. He was a manager at The Lodge at Black Butte Ranch for many years, as well as helping several area restaurants get their early starts. His last position was at Crosswater in Sunriver. Tony loved his home in the community of Sisters. One year he saved the Sisters Christmas parade by organizing the event when he found out it was not going to happen. He supported many local programs, especially the schools, and also volunteered to coach the Special Olympics, both track and field and winter events. It was with the Olympians where he taught his daughters about compassion, kindness, acceptance, and humanity. He loved golfing with his friends The Bozos, camping, travel, but most of all, his family. Tony was a man of quiet confidence, ready wit, and a perpetually uncharged cell phone. His sense of humor and one-liners naturally put people at ease. He taught us all lessons on tolerance, listening, and understanding. His friends, family, and community have all lost a great man. Tony is survived by his mother, Esther; siblings Mary and Jerry; daughters Crystal Sweet (husband Kipling Sweet) and Rachel Valdez (husband Jeremy Valdez); grandchildren Kipling Jr., Kahlan, Cossette, Justin, and Jeremy Jr.; his loving friend and caregiver Spring Wallace; their dogs Mia and Samantha; and a close family of nieces, nephews, cousins, and friends. He was preceded in death by his father Tony; brother, Tony Jr.; and sister Georgia. A service in his honor will be held on January 19, at 11 a.m. at St. Edward the Martyr Catholic Church, 123 Trinity Way. Following the service there will be a gathering of family and friends in the church common area. A Celebration of Life will also be held in Reno, Nevada January 21. In lieu of flowers the family requests memorial donations to The Special Olympics or The American Cancer Society.